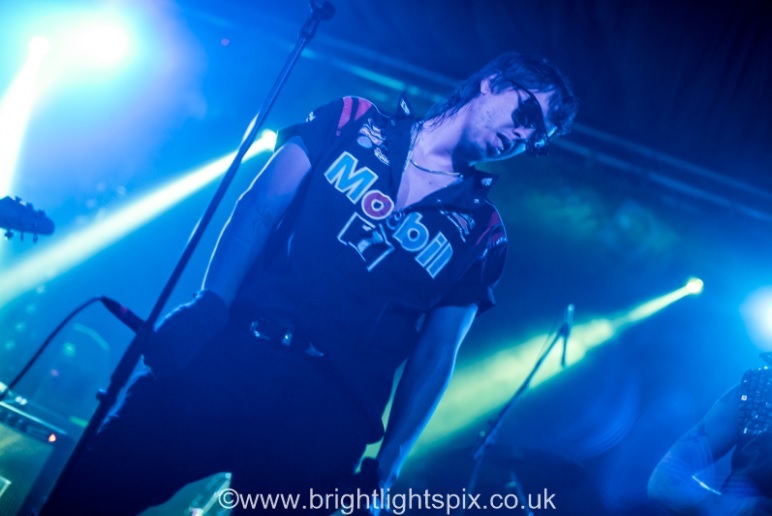 ‘Last Nite’ the crowd at the Concorde 2 in Brighton were treated to an unusual evening’s entertainment courtesy of The Strokes lead singer Julian Casablancas’s side project The Voidz. Casablancas along with Nick Valensi, Albert Hammond Jr., Nikolai Fraiture and Fabrizio Moretti are known as the New York rock band The Strokes. There is some uncertainty as to whether the guys will be recording any further material under that banner as there are several other projects on the go with the band members. Their last release being their 2016 album ‘Future Present Past’, although the band are better known for their earlier successful releases, with ‘First Impressions Of Earth’ hitting the UK albums top spot in 2006; ‘Room On Fire’ from 2003 which reached No.2 as did 2001’s ‘Is This It’ album and ‘Angles’ peaking at No.3 in 2011. Casablancas put The Voidz together in 2013 along with Jeramy “Beardo” Gritter (guitar), Amir Yaghmai (guitar), Jacob “Jake” Bercovici (bass, synthesizers), Alex Carapetis (drums), and Jeff Kite (keyboards). In 2014 they released their debut album entitled ‘Tyranny’ which peaked just inside the US Top 40 albums chart at No.39. They followed this release with their new 2018 platter ‘Virtue’. 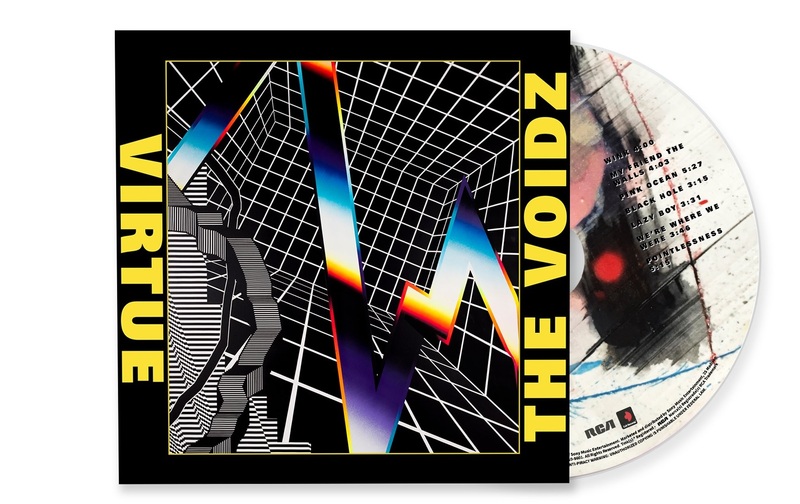 The Voidz are in the UK for just a handful of dates to tour their acclaimed ‘Virtue’ record from earlier this year, an album hailed by the critics, with Rolling Stone deeming the release as “infectious” and Stereogum saying in an epic 10,000+ word review it’s “a truly riotous album…it holds back nothing”. 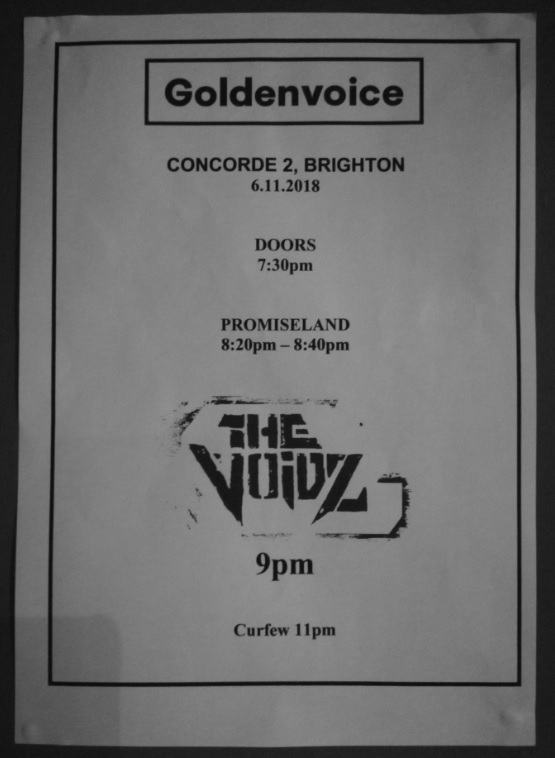 ‘Virtue’ is for all intents and purposes is a 58 minute 15 track album of many varying musical styles and that exactly what the Concorde 2 crowd got served up. The guys have to be complimented on their ability to switch genres from one song to the next in the melting pot of sounds, although it was a tad of a surprise to a minority in the mixed aged crowd. Casablancas was displaying his own inimitable vocal style akin to Iggy Pop, whilst the musical styles flowed from rock (‘One Of The Ones’) to funky beat with a Herbie Hancock style vocoder (‘QYURRYUS’), to heavy metal (‘M.utually A.ssured D.estruction’) to sounding like fellow New Yorker’s Mink DeVille (‘Permanent High School’). 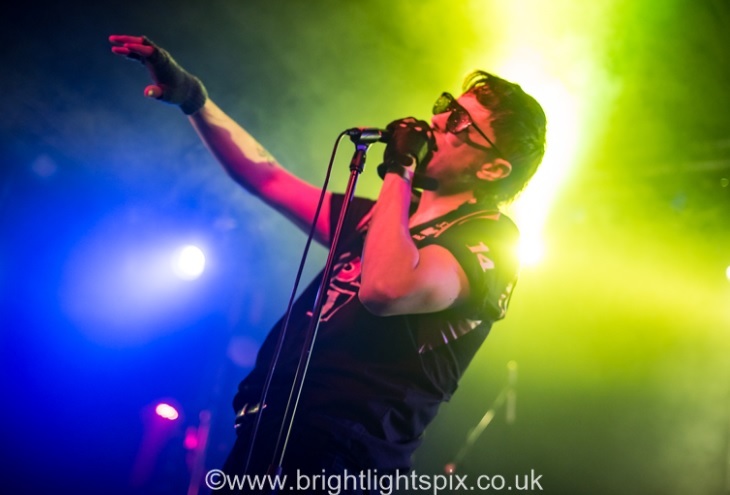 We had a ballad (‘Think Before You Drink’), we had a punk track (‘Black Hole’), we had synths and we had a track sounding like former Brighton resident Danny Green aka Laish (‘Pointlessness’). 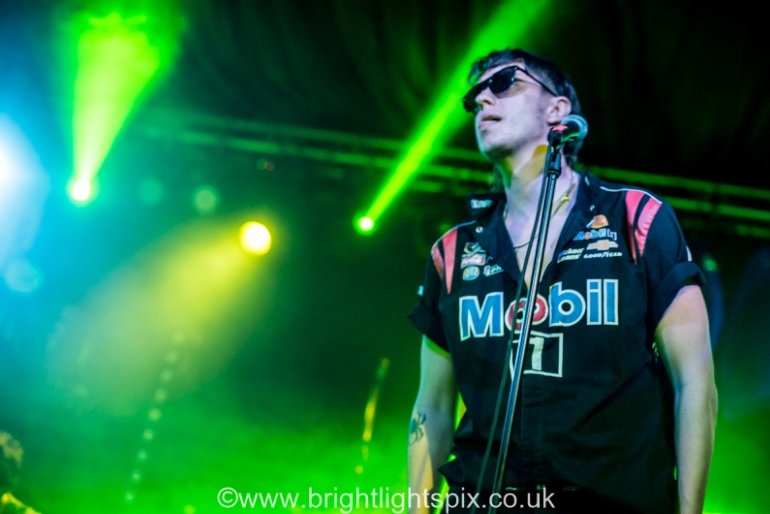 An eclectic mix of sounds and band members makes The Voidz an unusual outfit, which if they were a food, then they could be likened to Marmite (of course other yeast extract products are available!). ‘One of the Ones’, ‘QYURRYUS’, ‘M.utually A.ssured D.estruction’, ‘Permanent High School’, ‘Dare I Care’, ‘Think Before You Drink’, ‘Business Dog’, ‘ALieNNatioN’, ‘Black Hole’, ‘Leave It In My Dreams’, ‘Crunch Punch’, (encore) ‘Wink’, ‘Pointlessness’. 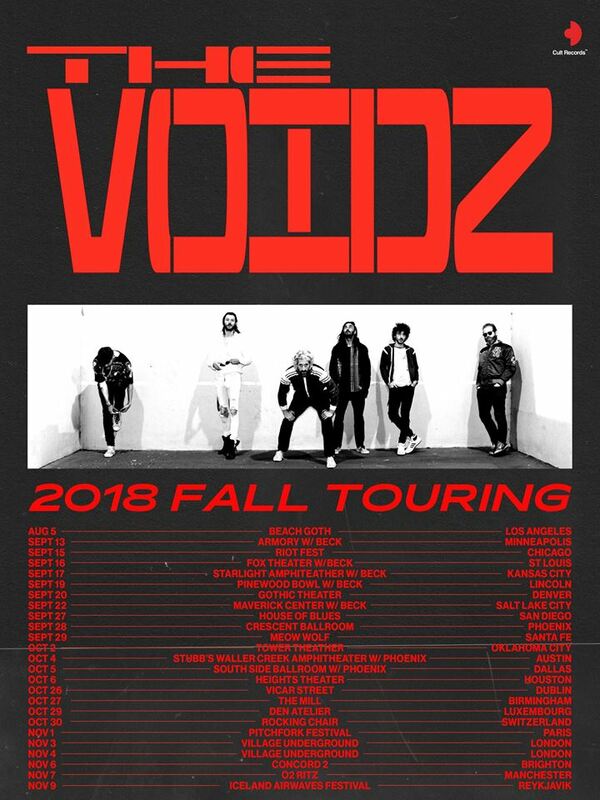 Find The Voidz material HERE. Support this evening came from Promiseland, who on recorded material are Johann Rashid and Melbourne producer Harmon, but live it’s just Rashid and a few electronics and boundless amounts of energy. I have to say that Rashid’s performance was a surprise to myself and I suspect almost everybody in the whole audience. It was just like a PA gig, but one with a difference, Rashid is clearly an entertainer, mad or on something. I however, somehow doubt the latter (other than the supplied JD during the performance!) 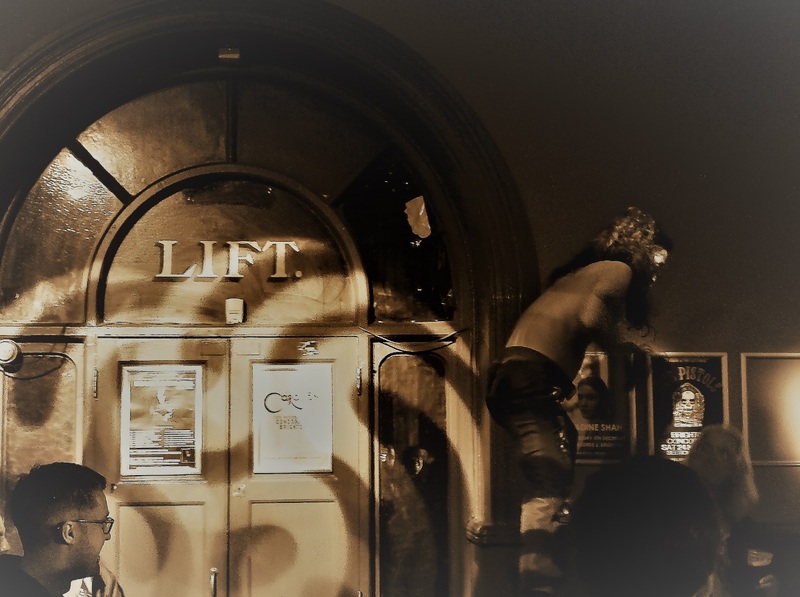 as off came his top, thus displaying his toned tattooed physique as he clambered about the stage on top of the speakers and then off he went into the audience, running around them and even acrobatically climbing up on the railings, which I haven’t ever seen before at this venue. He ventured out of the room and into the bar at the entrance as well. He was clearly making everyone know that he was performing and they shouldn’t miss out. He alternated his vocal sound by switching from one mic to another with one sounding at half speed. The crowd really appreciated his abilities and music. 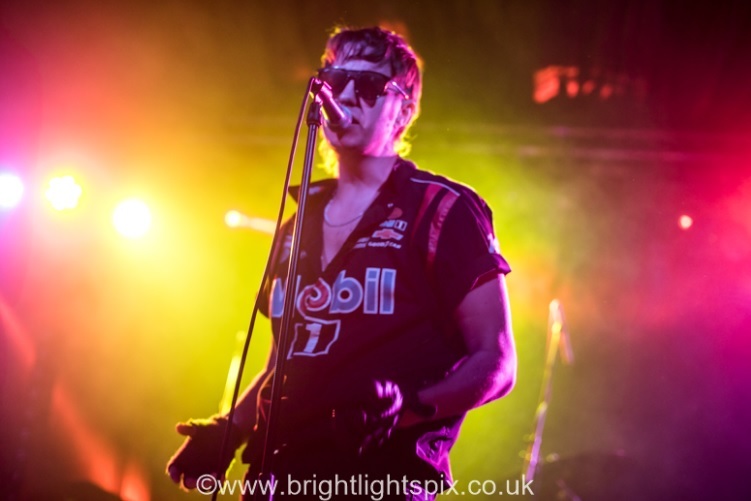 This energy and music hasn’t gone a miss on Julian Casablancas as Promiseland are signed to his Cult Records label, where you can purchase Promiseland’s two singles ‘My Shadow’ and the Leftfield Lydon ‘Open Up’ sounding ‘Take Down The House’. This latter track, I have to say for me personally was the most enjoyed tune during the whole night and I shall be further investigating this act, as to me I can hear elements of EBM music, especially the Canadian band Skinny Puppy, but with a more danceable edge.